Adam Lallana netted a 95th-minute winner to earn Liverpool a dramatic 5-4 victory in a breathtaking encounter against Norwich at Carrow Road. The hosts had overcome Roberto Firmino's early opener to hold a 3-1 lead in East Anglia through goals from Dieumerci Mbokani, debutant Steven Naismith and a Wes Hoolahan penalty - all aided by some suspect Liverpool defending. However, Jordan Henderson started what proved a thrilling comeback with a well-taken goal just one minute after Hoolahan's spot-kick, before Firmino equalised with a lovely dinked finish. And Liverpool weren't done there, as Milner latched on to Russell Martin's awful backpass to fire past Declan Rudd in the Norwich goal to put the Reds back in front. Sebastien Bassong looked to have earned the Canaries a point in injury-time, but straight down the other end, Lallana pounced to wrestle back the three points, Reds boss Jurgen Klopp losing his glasses in the wild celebrations. This is only the third time in Premier League history that Liverpool have recovered from two goals down to win an away game, securing three vital points which sees them move up to seventh - eight points off the top four - while Norwich's relegation fears increase after a game they should have taken something from. The visitors, who had picked up just one point in three league games, started in the ascendancy and Firmino broke the deadlock in the 18th minute with his fourth goal for the club. Milner held the ball up well, delayed long enough for Firmino to make his run, played him in, and Firmino converted, via the left foot of Rudd. Milner almost got on the scoresheet himself as he raced clear through the heart of a vulnerable-looking Norwich backline, but he was dispossessed at the last by Robbie Brady. Liverpool were then made to pay for that miss, as Mbokani (29) cleverly back-heeled past Simon Mignolet after the Reds passed up several chances to clear a corner. The game swung completely in the hosts' favour when former Everton forward Naismith (41) fired home on his Norwich debut, Mignolet beaten from a very tight angle. After the break, the drama intensified. The hosts stretched their lead nine minutes after the restart through Hoolahan's audacious penalty, but Alberto Moreno's challenge that conceded the spot-kick was reckless. With the home fans still taking their seats after celebrating their side's third, Henderson arrived to put his side back in the contest (55), but he was allowed far too much time to convert from the edge of the box from Firmino's flick. There was nothing the hosts could do about an equaliser that came eight minutes later, Liverpool showing their class in creating the opportunity for Firmino to delicately loft the ball over the onrushing Rudd after great work from Lallana to pick him out. The comeback looked complete in the 75th minute, Milner profiting from a gift of a backpass from Martin to fire past Rudd and put Liverpool in front for the second time. But their rally seemed in vain as Norwich grabbed what looked like a vital point in their fight for survival through Bassong in stoppage-time. Again Liverpool had ample opportunity to get the ball upfield, but they failed to clear their lines as Norwich pressed, the centre-back firing past Mignolet from the edge of the box (90+2) in a manner any striker would have been proud of. However, in a game that refused to relent, Lallana capitalised on more poor defending after Norwich failed to clear a long ball into the box, and fired past a static Rudd to stun Carrow Road, the matchwinner whipping off his shirt before being joined by colleagues and boss alike in jubilant celebrations. 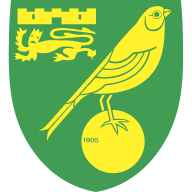 Norwich: Rudd (5), Pinto (5), Martin (5), Bassong (6), Brady (6), Redmond (6), Dorrans (6), Howson (7), Hoolahan (7), Naismith (7), Mbokani (7). Subs used: Jerome (6), Jarvis (6), Olsson (6). 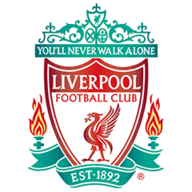 Liverpool: Mignolet (4), Clyne (5), Toure (5), Sakho (5), Moreno (4), Lucas (5), Henderson (6), Can (5), Milner (7), Ibe (6), Firmino (8). Subs used: Caulker (6), Lallana (7), Benteke (6).